I don’t know about you, but my kids come home from school with mountains of papers every single day! Just the other day I counted how many papers my grade school children brought home (I have 3 in grade school). 36. Thirty-six! Can you believe that? And while I like to look at all the cute, fun and interesting things they’re learning, the mound of papers are enough to make me weep with anxiety wondering where to put it all and what to do with it. At least that was the scenario a couple of years ago. I have since made incredible progress with my therapist and no longer weep with anxiety. Now I weep with joy because I have a system. You should try weeping with joy sometime. You should also get a system. OK, fine. I’ll tell you more than that. But what I’m going to tell you is that it’s late, I’m tired and I’ll post about my system another day because I’m falling asleep as I type. Thank goodness for the spell checker. 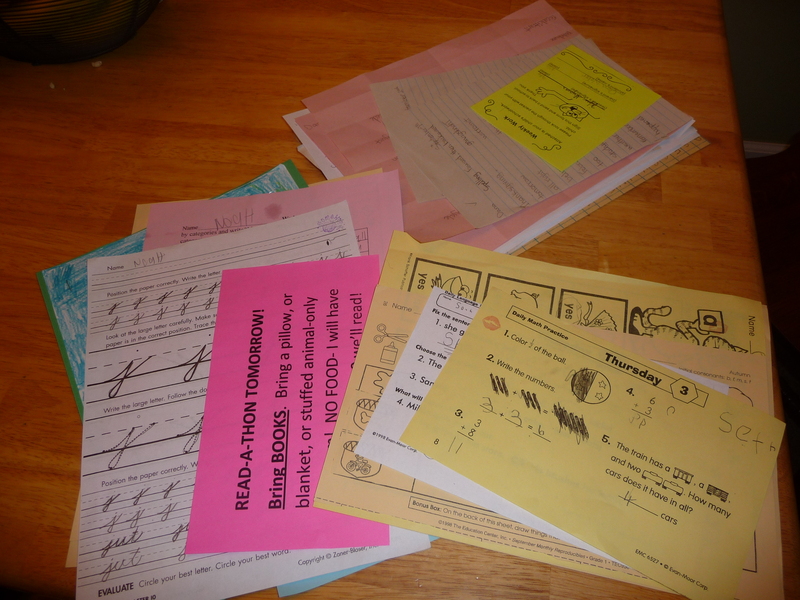 This entry was posted in Back to school, Organizing and tagged organizing, school papers. Bookmark the permalink.